BAKERY customers throughout Scotland have had their say and now it’s the experts’ chance to put their choices to the test, at the much-anticipated Scottish Baker of the Year judging day in Dunfermline on 17th April. With over 8,000 customer votes and in excess of 30,000 individual products votes, for goods baked by the best bakers in the country, the ‘steak pies’ are high. This year’s bumper crop of entries includes a wide range of ‘brilliant bakes’ with accolades on offer for the best pies, scones, loaves, savoury items, morning rolls, individual cakes and biscuits as well as the ultimate prize, to be crowned Scottish Baker of the Year. Says Alasdair Smith, of Scottish Bakers, who organise the competition, now in its eighth year: “Every day in Scotland, we can enjoy a buttery for breakfast, a sandwich made from a fresh loaf for lunch, afternoon tea with mouth-watering sweet treats and a fresh piping hot pie for supper. But the bakers who carefully make the pies, scones, loaves, savouries, morning rolls, individual cakes and biscuits sold in Scotland every day are the hidden gem of our economy and of our culture. 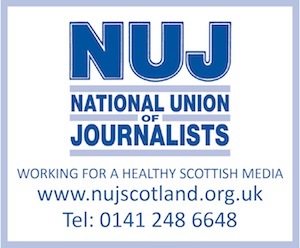 The winner will be announced at a glittering gala dinner at the Crowne Plaza in Glasgow on Saturday 8th June 2019. Scottish Bakers was established in 1891 and, since then, we have represented and promoted the interests of the bakery trade in Scotland. We aim to be an integral part of each member’s business by providing support for bakers of all sizes. We provide a valuable source of help, advice, information, assistance and skills development for bakers throughout Scotland. 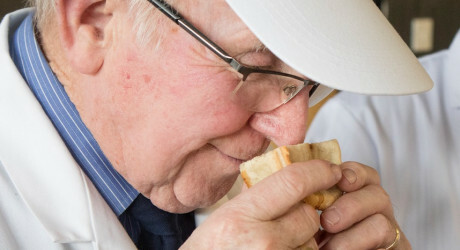 Scottish Bakers manages both The World Championships Scotch Pie Awards each year The Scottish Baker of the Year Awards to recognise and celebrate excellence in the sector. But, most importantly, Scottish Bakers belongs to its members, we are all there for their benefit and are proud of our motto, ‘for the good of all’. MEDIA RELEASE issued by Fourcade Communications. You too can share your stories (aka press or media releases), on this site. Email here for more information.